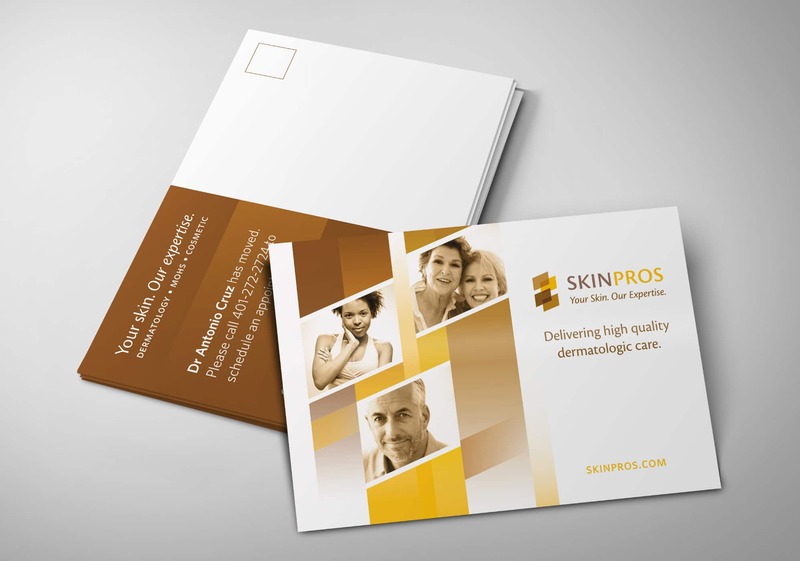 A fresh face for a skincare and cancer treatment center. 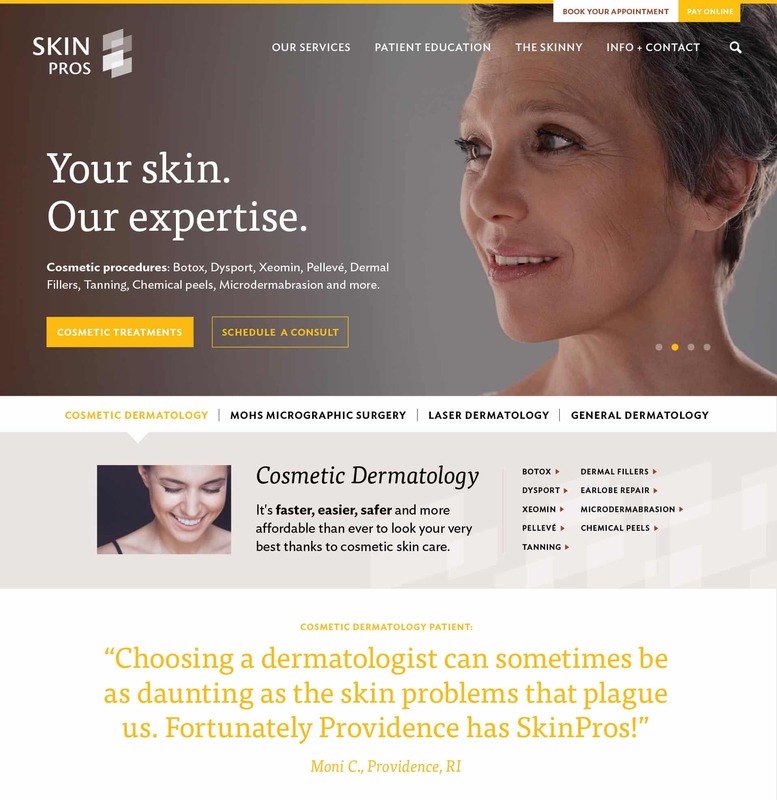 This popular medical practice on the East Side of Providence, RI needed a logo re-take, a professional web identity, and a myriad of other print and digital marketing collateral pieces. 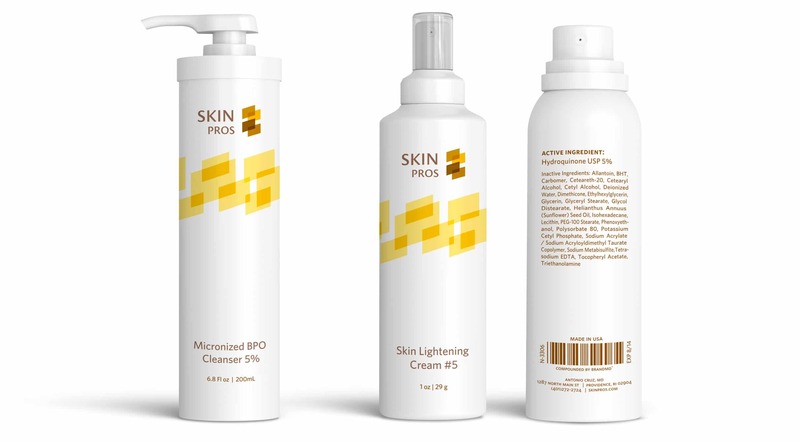 I designed a logo that speaks to the professionalism of their practice and crafted a web presence that reflected their all-inclusive approach to skin care. 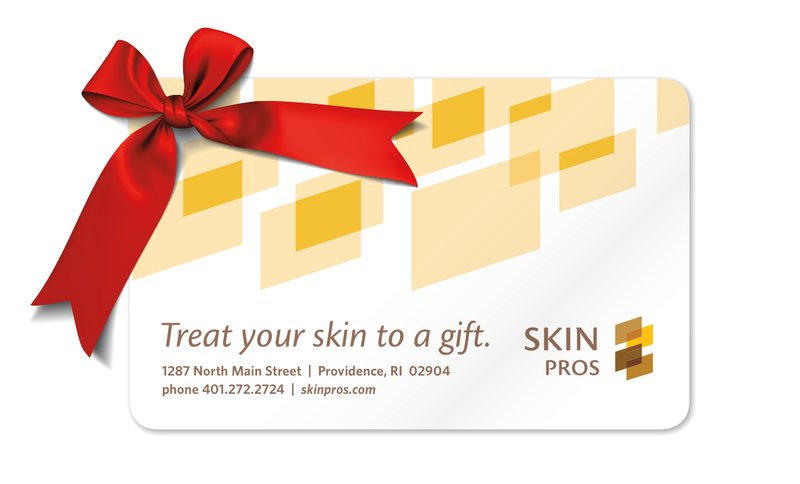 In addition to the SkinPros logo and their outdoor signage, I designed business cards & letterhead, product packaging, magazine advertisements, postcards and a website .